Shane Lee (front), Jordan Toles and Darrian Dalcourt will be key clogs for St. Frances Academy football this coming season. The three-time reigning MIAA A Conference champions are nationally-ranked by USA Today and MaxPreps. After an offseason filled with controversy, St. Frances Academy football team took to the competitive field for the first time Friday with a scrimmage against perennial Washington Catholic Athletic Conference power Good Counsel from Montgomery County at Patterson Park’s Utz Field. 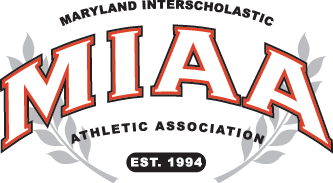 The east Baltimore school, which won the past two MIAA A Conference titles on the field was recently declared the 2018 title by the league after the other five A schools declined to play them this fall, citing players’ safety. The decision sparked an intense debate the last couple of months with accusations of racism. The controversy gained national attention recently when the situation was the subject of a profile by ESPN’s newsmagazine show E:60. The Panthers, who put together arguably the finest season by an area’s No. 1 team (outscored opponents 534-61; finished No. 4 in USA Today Super 25), are impressive again with Lee, who’s committed to reigning national champ Alabama along with teammate and offensive linemen Darrian Dalcourt. Running back Joachim Bangura, who rushed for 1,245 yards and 35 touchdowns as a junior last fall, has scholarship offers from Alabama, Michigan State, Ohio State, Penn State and Wisconsin. Wide receiver Jordan Jakes is committed to Indiana. Safety Jordan Toles, one of the area’s best two-sport athletes (basketball) is rated the state’s No. 1 junior by 247Sports.com. Chris Braswell (defensive end), Osman Savage (linebacker) and Demon Clowney (defensive end) are among the nation’s best juniors. The biggest question for the Panthers will be at quarterback with freshmen John Griffin and Jaylin Padgett competing for the spot vacated by Jalen Jones. Jones, a Florida commit, left St. Frances in June to return to his native Richmond, Va. The Panthers, ranked No. 7 by MaxPreps and 9th in USA Today’s Super 25, are finalizing its national schedule. St. Frances was to open next Friday against Florida’s Doral Academy but Russell said the Miami-area school cancelled. St. Frances opens against Philadelphia’s St. Joseph’s Prep at the University of Maryland Aug. 31.